Mahindra currently has total of 39	car models in India. Mahindra Cars price starts from ₹ 4,00,000 . Click on the below images to see the details of each models. K.C. Mahindra's timely spark that ignited when he met the American inventor of 'General Purpose Vehicle' Barney Ross was what that brought us the American war utility as the general Indian utility. K.C. 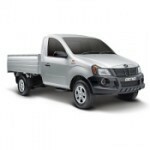 Mahindra felt that a war utility vehicle could be used for various purposes on the rugged Indian roads. 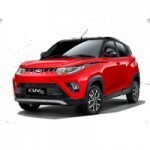 Already Own a Mahindra Car? * Mahindra may not sell all the car listed here in all showrooms. 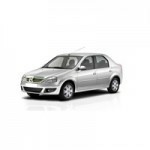 Price of Mahindra car listed here are dealer price only not the on road price of the car. Mahindra car pictures are for representation purpose only. To book and know the on road price of any Mahindra car click the buy now button. I was planning to buy Mahindra XUV500 W8 model, but i heard about the re-lauch of New refined Mahindra XUV500 Hybrid Model. So here i would request you to update me with the expected Launching Month and from when Advance bookings can be made to pre book my Dream Car. Thanks !! Danish. MAHINDRA IS ONE OF THE MY FAVLOURITE CAR COMPNY AMONGST OTHERS AND IT IS ON THE TOP OF THE WORLD AND TWINKLING LIKE A STAR .I WISH TO BE ALWAYS ON TOP LIKE THIS AND BECAME BEST FOR FOREVER.I WANT MAHINDRA TO FAIL DOWN ALL OTHER COMPANIES.I LOV E MAHINDRA.ALL D BEST.